When an ex-Army sniper is accused of shooting five people, the police give him a pad of paper on which to write his confession. He writes three words: Get Jack Reacher. The sniper is guilty, just not of this crime, and he knows that Reacher (Tom Cruise) cares about such distinctions. 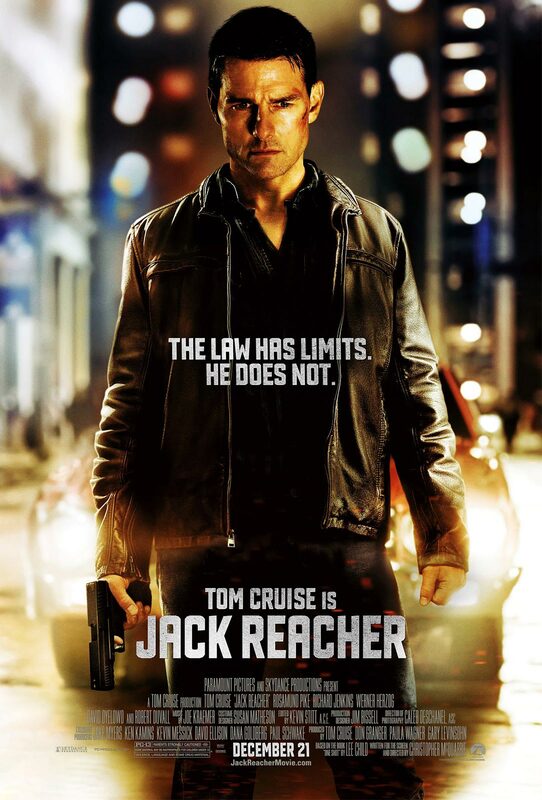 Reacher is himself an ex-Army officer who served with distinction in a special investigative military police unit. He’s a wild card, a man loyal only to himself and his ideals, which makes him very dangerous to the people behind the shooting. 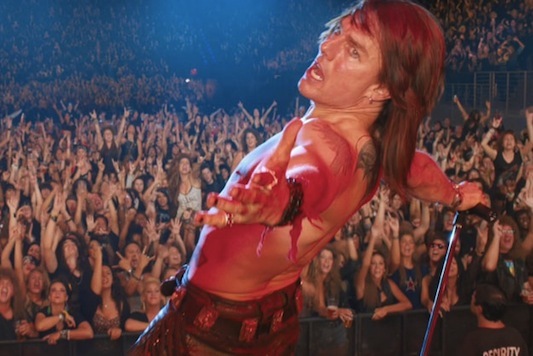 It’s not fair to call Rock of Ages a Tom Cruise movie. It’s much more of an ensemble piece. Diego Boneta and Julianne Hough are on screen more than Cruise. 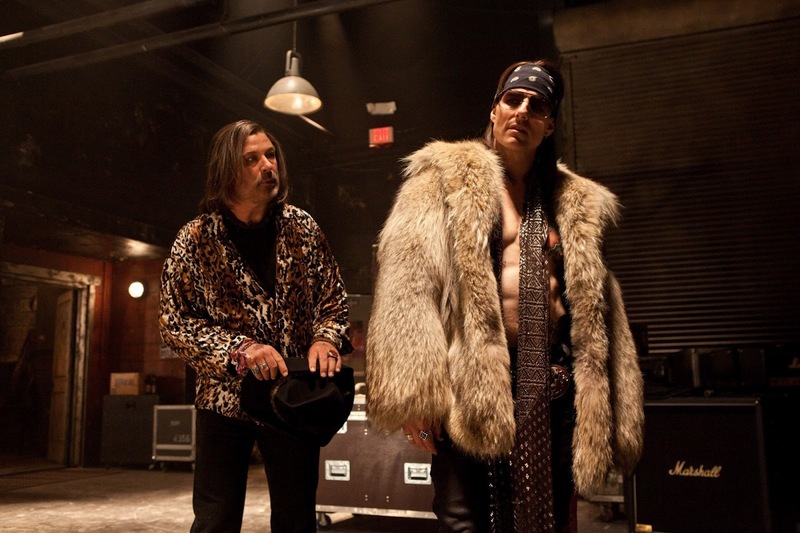 However, his role as rock legend Stacee Jaxx is pivotal, so I’m throwing it in here. In 1987, a small-town girl and a city boy pursue their dreams in Hollywood. Surrounded by booze, drugs, and rock and roll, they try to find their way to success, and to each other. In the future, aliens show up, destroy the moon, and ravage the earth. Humanity survives by escaping to the moon Titan. 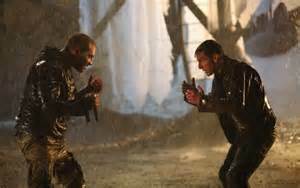 Jack (Tom Cruise) and Victoria (Andrea Riseborough) remain on Earth to monitor and maintain the water harvesting outposts. Their tour of duty is almost up, when Jack’s memories, and his curiosity, reveal the truth of their situation. 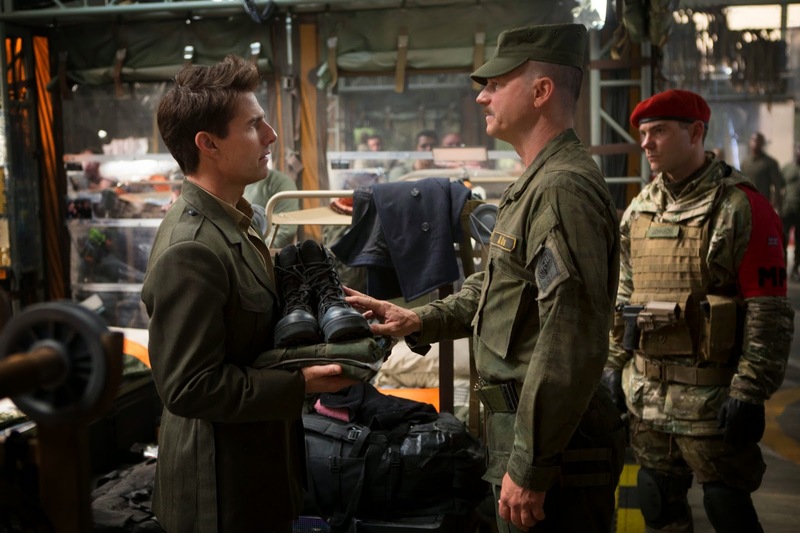 United States Marine Corps Major Cage (Tom Cruise) works in public affairs, spreading positive stories about mankind’s war against alien invaders and boosting enlistment. He’s a coward, and afraid of the sight of blood. So when he’s ordered to report from the front lines as part of a counter-attack, he refuses. The military police knock him unconscious, and he finds himself rushed to the front, with no training or preparation, as part of an infantry unit. He kills an alien, and gets covered in the alien’s blood. Then he dies, and wakes up where he started. He can’t convince anyone of what’s happening, until he meets up with Rita (Emily Blunt), the Angel of Verdun. She tells him, “Find me when you wake up.” She had the reset ability, but lost it. Together they must work to learn all they can in time to save humanity. These are all good movies, and you should see them even if you’re not a Tom Cruise fan. There are several issues worth discussing about some or all of these movies. Leaving aside (further) digs about his personal life, there is the issue of whether Tom Cruise is an actor or a personality. A personality is someone who is always himself, regardless of what part he plays. Personalities get cast not because of their ability to act, but rather for their ability to sell tickets. Think about Elvis Presley and all his movies, but especially the early ones. Some personalities grow into actors by dint of hard work. Others cease to be box office draws, and find that no one hires them anymore. Listen. Sometimes we call this “being in the moment.” Even though the actor hears the lines a thousand times in table reads and rehearsals, the actor has to listen and be fully present in the moment captured on film. Hone their instrument. An actor uses body, face, and voice to express emotion and to communicate the previous four points. 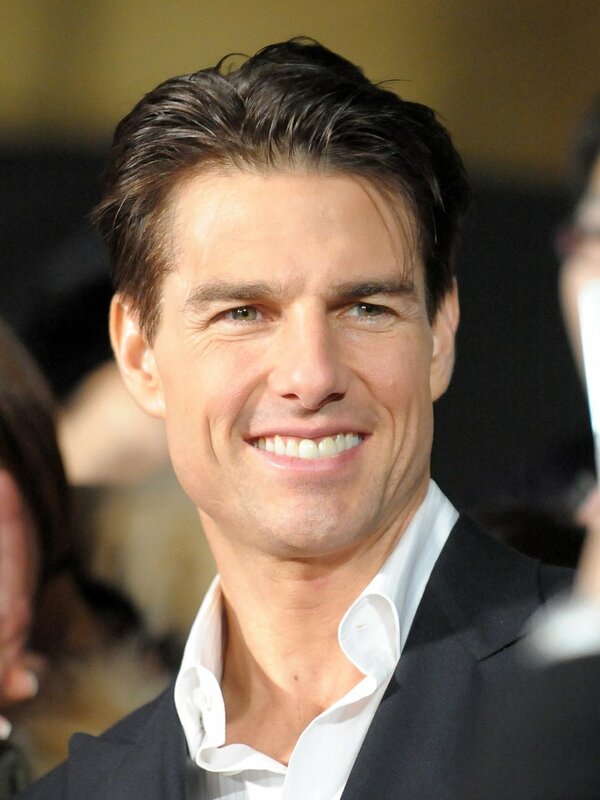 For me, Tom Cruise is often a personality. It seems like the only way he can make himself believable is to do his own stunts. He uses the same cocky smile all the freaking time. It’s not surprising, and it shows weak control of his instrument. He rarely seems to listen, although that often comes from the cocksure characters he plays – because they’re so self-centered that they don’t listen. And yet, I recommend all four of these movies. The truth is, Tom Cruise can act. He often doesn’t, because he gets hired to be Tom Cruise. That doesn’t require any effort on his part. To his credit though, he does seek out roles that require him to stretch himself. See especially Vanilla Sky and Eyes Wide Shut. 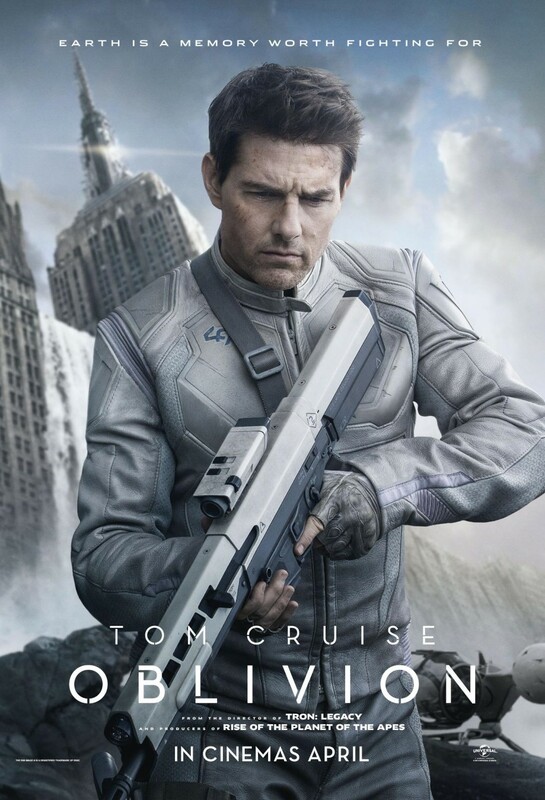 In Oblivion, Cruise has to show us confusion and vulnerability. As his character learns that everything is a lie, he lets his fear show through. There are lots of surprising choices, and plenty of vulnerability. He makes us believe in his character’s experience, and the director frames and paces the scenes so all the actors have time to listen to each other – and that’s important. The language of Oblivion is important. When words and actions are repeated, and when the patterns break, are part of the story. 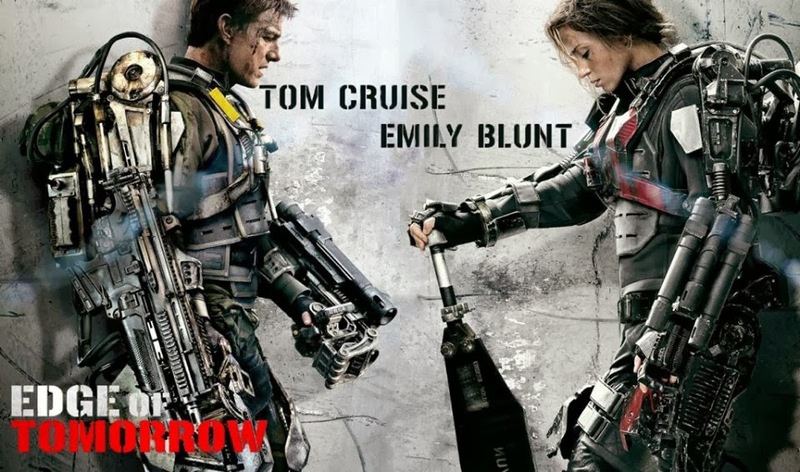 In Edge of Tomorrow, Cruise plays against type. Instead of cocky and competent, he plays a cowardly fish-out-of-water. 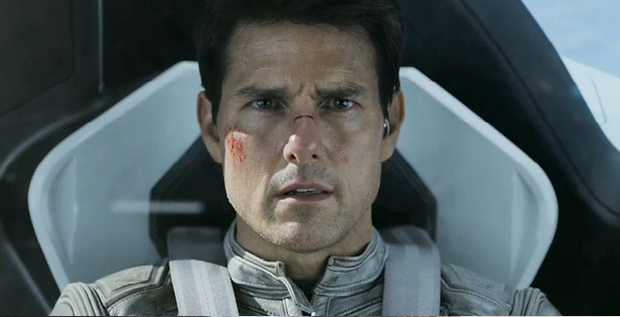 I watched him closely throughout the movie, and not once did I see Tom Cruise peek through the Cage character. Cruise vanished inside Cage. He listened, he was vulnerable, he used his instrument, and he surprised us. 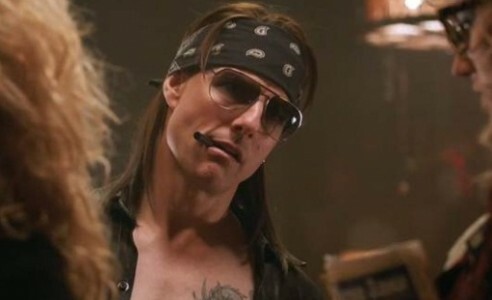 In Rock of Ages, Cruise hides his eyes behind mirrored aviator sunglasses, and almost never smiles. He uses his body in ways that I’ve never seen him do before – and I’ve been watching him since at least Risky Business. Stacee Jaxx becomes a meditation on what it’s like to be famous, and what it means for people to mistake the role you play on stage for who you are. It’s a very grounded performance, and mesmerizing. Also, Cruise can sing well enough to acquit himself in the role. I need to give this movie its own space, for a couple of reasons. I love the Jack Reacher novels. I’ve read all of them, and I enjoy them despite the minor errors that I, as a veteran of the American Army, spot. Reacher is an unstoppable force. He’s 6’4” and weighs over 250 lbs. In one of the books, Reacher describes being part of an experiment where someone fired a gun at a theater audience. In photos of the audience response, Reacher is the only one charging the shooter. Reacher represents a very specific fantasy – that somewhere in the world there’s someone who knows what’s right and what’s wrong and is willing (and able) to do something about the wrong things he encounters. So when Cruise, who is all of 5’7”, was cast, I was immediately pissed off. I was a little wrong, it turns out. No, Cruise cannot physically embody Reacher, but he sure as heck tried. He put on some muscle, and not in a lean, wiry, way either. He bulked up his arms and his torso in a way that suggested a character who used his body in real life and not just in the gym. He embraced the fight choreography so that he embodied someone who’s been in so many fights that he knows what to do without thinking about it. He also seemed to internalize the fantasy that Reacher represents. 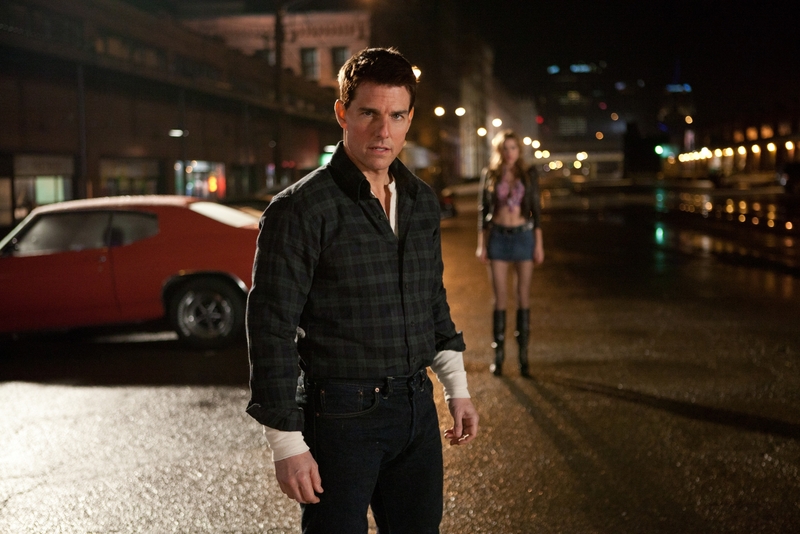 Cruise performs as an unstoppable force, a ruthless man with a rock-solid determination to see the wrong things made right. I honestly believed that someone in the sniper’s position would ask for a man who hates him. Reacher would bury him in an unmarked grave for what the sniper did in the past, but not before clearing his name of a false accusation. 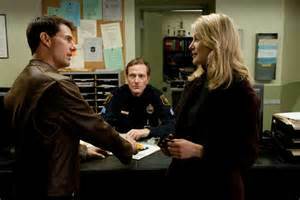 If you can divorce yourself from the novels, then Jack Reacher is a good action mystery movie with a solid cast. It’s very enjoyable, and Tom Cruise only peeks through the role once, when he gives the ol’ Tom Cruise half-smile a brief appearance. Also, there’s a Days of Thunder reunion buried here, with Cruise and Robert Duvall together again. 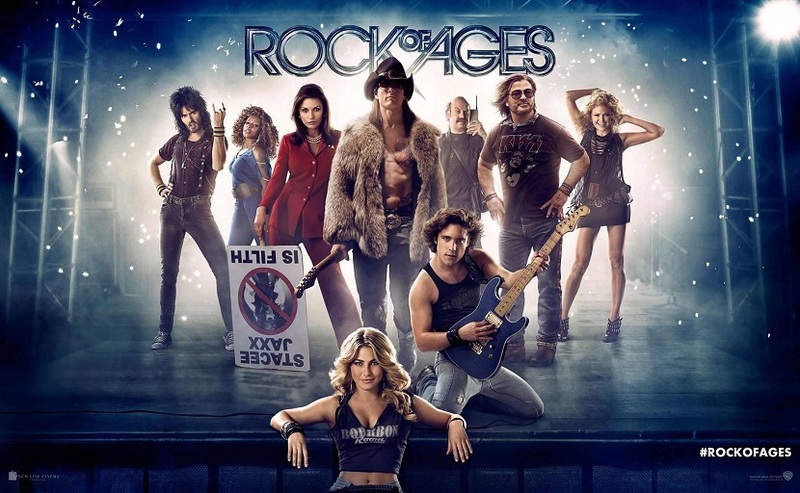 If you, like me, came of age in the ‘80s, the music of Rock of Ages will put a smile on your face. The story is pretty simple – boy and girl meet, life gets in the way, they finally get each other. The steps in between are fun, and the music is good. Everyone puts their instruments to good use, singing and dancing. Put the kids to bed so they don’t ask awkward questions about what you did back then, and relive your youth. Oblivion and Edge of Tomorrow are both good sci-fi movies. Of the two, Oblivion is the weaker. 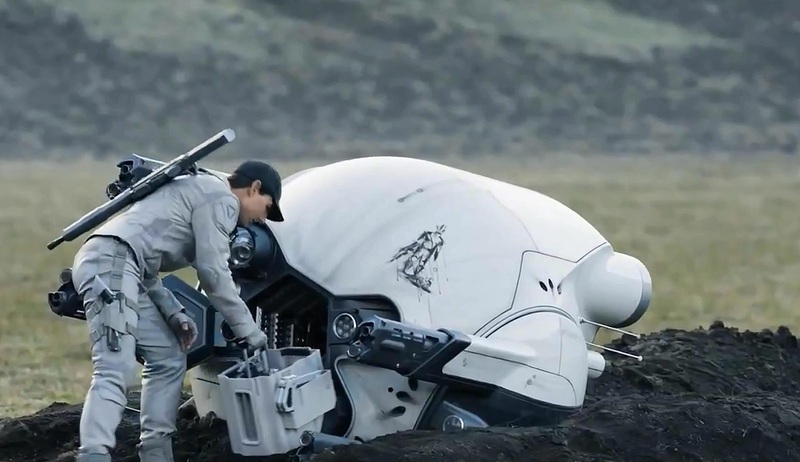 What makes a good sci-fi movie different from a good general movie is the ideas in the sci-fi movie. You need to have good ideas that open our minds to wonder, that make us ask what-if, or that let us see our own world in a fun-house mirror. Oblivion could have been a meditation on who the monsters are, or on how our own machines could become our masters. Instead, it owes a lot to O. Henry, M. Night Shyamalan, and the movie Moon (2009, and if you haven’t seen it, run out and see it NOW). You know the twist is coming because of the repetition and pattern breaks I mentioned earlier. The twist isn’t that surprising, but I was still thinking about the movie for several days after I saw it and that’s a good thing. It’s still a very good movie. It’s just the weaker of the two. 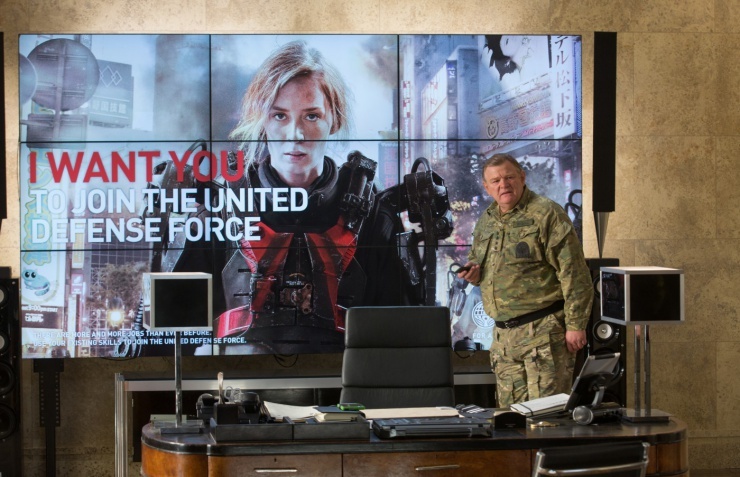 Edge of Tomorrow is one of those rare movies that’s far more than its ad campaign. If you saw the ads and thought it was a sci-fi war movie, that’s hardly your fault. That’s what the ads showed you. Instead, it’s a big idea movie. If you know that a plan is doomed to failure and everyone around you is going to die, how do you get people to listen? How do you make enough changes to save them? How many times do you try, before you head to a bar and get drunk? And if you met someone who understood, but who you had to re-convince, over and over again, what would you do? There’s a lovely love story between Cage and Rita that the movie successfully resists wrapping up in a neat package. Instead of relying on Tom Cruise charm, the movie makes the love story about two people who share an understanding of pain and loss. It’s about a shared vulnerability, and the movie doesn’t assume that’s enough to sustain a relationship once the emergency passes. Both movies have plot holes, of course. If nothing else, this blog has shown that all movies do. However, they stand head and shoulders above most sci-fi and I encourage you to see them. I mention that because I feel like all four of these movies gave Tom Cruise the room to succeed, or fail, on his own merit. For the overwhelming majority of the four films, he succeeds. Good performances, tight stories, excellent visuals, and strong pacing mean that I can recommend these whether you like Tom Cruise or not.